Rick is an Insurance Broker with 25+ years’ experience. He specializes in assisting Architects, Engineers and Environmental Service Firm Property & Casualty Insurance and coordinating Risk Control support services. In 2008 Rick founded VOCO2, a specialty firm for AE&E clients which currently has offices in Jackson Hole, WY , Colorado and Oregon and serves clients nationwide. The company is staffed with veteran insurance personnel dedicated to providing clients with comprehensive, affordable and pro-active insurance solutions and service. VOCO2’s service platform includes Risk Control, Contract Review and Risk Profile services. Rick holds insurance industry designations of Chartered Property & Casualty Underwriter (CPCU) and Construction Risk Insurance Specialist (CRIS) and is a graduate with a Bachelor of Arts from Whitman College, Walla Walla, WA. Bobbi has more than 20 years’ experience in the insurance industry. Bobbi started her insurance career working for an independent agent in personal lines while attending college. She received her personal lines license in 1994 and worked in personal insurance sales for three years. After a brief period of time living in Puerto Rico, she returned to the States in 2002 and resumed her insurance career as a Healthcare Syndication Administrator with Aon Risk Services. 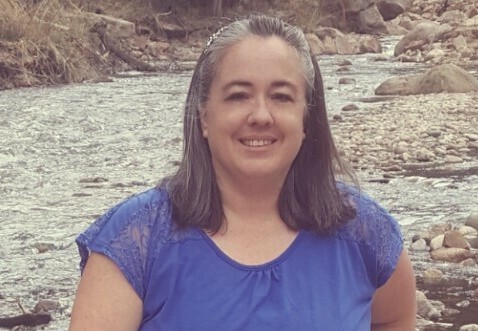 Over the past 10 years, Bobbi’s focus as an Account Manager and client service in the Property and Casualty insurance arena working with clients in the Construction and Oil and Gas sectors with IMA of Colorado, Inc. and HUB International. Bobbi joined Van Oppen & Co. 2 in 2014. Bobbi manages the VOC2 service desk making sure our clients’ needs are met in a timely and accurate manner. Her services include assisting with insurance program design, insurance call out review, certificates of insurance and working closely with clients whenever changes to their insurance program may be needed. Bobbi is a graduate of Western Business College. She has continued to further her education and insurance knowledge. In 2009 she obtained her Construction Risk Insurance Specialist certification. Richard (Rich) P. DeMusis, Jr.
Rich is a highly accomplished business development executive with a deep commitment and understanding of the needs of Environmental Service Firms as well as related industries. Prior to joining Van Oppen & Co. 2 Rich served as a territory manager for EDR (Environmental Data Resources) from 2008 through 2014 managing growth at EDR and an 8 state territory with over 600 Environmental Service Firm clients. 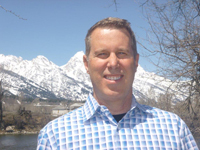 Rich is active in Environmental industry associations and has been a board member of Rocky Mountain Environmental Professionals Association (RMEPA) from 2010 to present. Rich joined the Van Oppen & Co. 2 team in July 2015. Rich’s role at VOC2 is in focused on helping the company grow by attracting new clients and as a relationship manager with clients to help ensure that our client’s needs are identified and met. 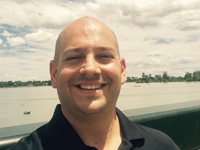 Rich is a graduate of Providence College, Providence RI with a degree in Business Management. Brenda entered the insurance industry in 2007. She is a licensed property and casualty broker with a specialty in commercial insurance. 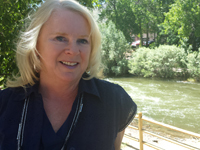 Prior to joining VOC2, Brenda spent over 5 years with Wyoming Financial Insurance, Inc. the Evanston WY office. Brenda joined Van Oppen & Co. 2 in March, 2016. Brenda is an Account Manager assisting insured clients to make sure their questions and insurance service needs are met. Her services include assisting insurance call out review, certificates of insurance and working closely with clients whenever changes to their insurance program may be needed. In July of 2014 Brenda obtained the Certified Insurance Counselor (CIC) designation by attending 100 classroom hours and taking five comprehensive written exams. In addition, she attends continuing education courses every year to update her knowledge and skills, to ensure that you always receive the attention, care, and current information necessary to make your coverage decisions. Samantha entered the insurance industry in 2000. She is a licensed property and casualty broker with many years’ experience specializing in assisting clients with business insurance. Prior to joining VOCO2, Samantha spent over 5 years with Twin T Insurance in Colorado Springs, CO and then Brown and Brown following the sale of Twin T Insurance to Brown and Brown. Most recently she was with Farmers Insurance providing service as a Commercial Lines specialist. 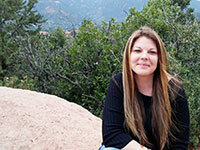 She also has a number of years’ experience with placing Surety Bonds. Samantha joined Van Oppen & Co. 2 in July, 2017. She is a Customer Service Representative assisting our insured clients make sure their questions and insurance service needs are met. Her services include assisting the service desk with policy review and policy checking, certificates of insurance, issuing auto ID cards, endorsement requests and Client portal set up and assistance.